Heavily camouflaged, wearing a headband, face covered in black – he stealthily crawls through the brush carrying a shiny knife in his mouth with countless rounds of ammo slung across his chest and a formidable gun on his muscled shoulder. He is ready to ambush the enemy. RAMBO. Isn’t this the image that comes to mind when we think of the term guerrilla? We picture either a mercenary or the good guy battling the bad guy in the movies. The personality is often one of an aggressive, detached militant. Each time it comes to writing one of their stories, I personally cringe when I need to use the terms guerrilla, guerrilla fighter, or guerrilla combatant. The description in paragraph one where the layperson’s mind may tend to wander could not be further from the truth. My partner and I struggle with the negative image the term might conjure up for our readers who are unfamiliar with guerrilla fighters. My personal conundrum is whether to substitute a term for guerrillas or educate the reader about what guerrilla means in the case of the Salvadoran situation. This is my attempt to educate the reader. What is a guerrilla fighter? Historically a guerrilla group was a band of irregular soldiers often composed of civilians fighting against a larger armed force such as the army or police. This refers to tactics including surprise raids, sabotaging communications and supply lines, etc. Strategies of guerrilla warfare often focus on small, mobile forces moving through familiar terrain in small units. They depend on local support. When and where have we heard of other guerrilla groups? Insurgent guerrilla groups played a significant role for social and religious change as far back as 3100 B.C. in Egypt. In the 17th century in India was another notable example of guerrilla warfare. In the U.S. Civil War a group called “the bushwackers” so named because they hid in the forests, attacked their enemies. During the Viet Nam conflict both Mao Zedon and HoChi Minh used guerrilla warfare. 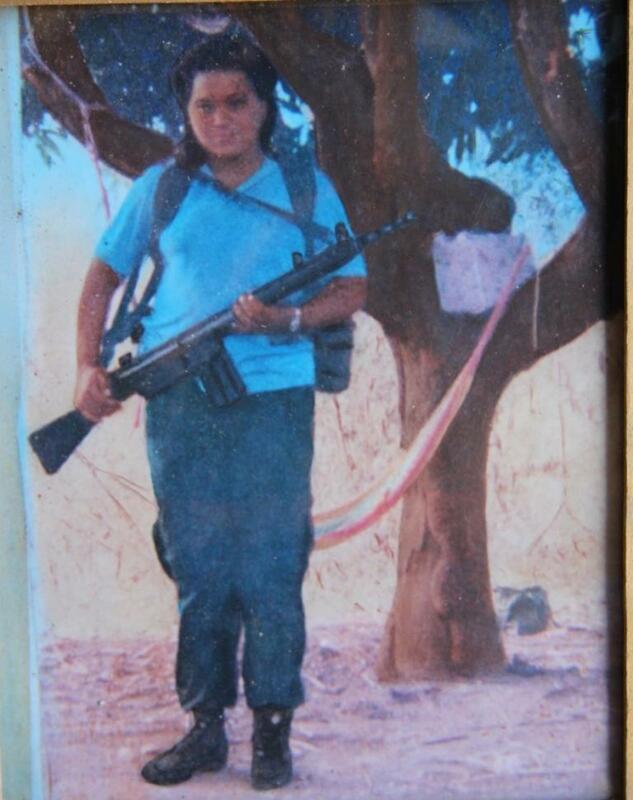 Recently on April 15, 2015, the BBC reported 56,000 former guerrilla women in Colombia, fighting a cause they consider to be unjust. 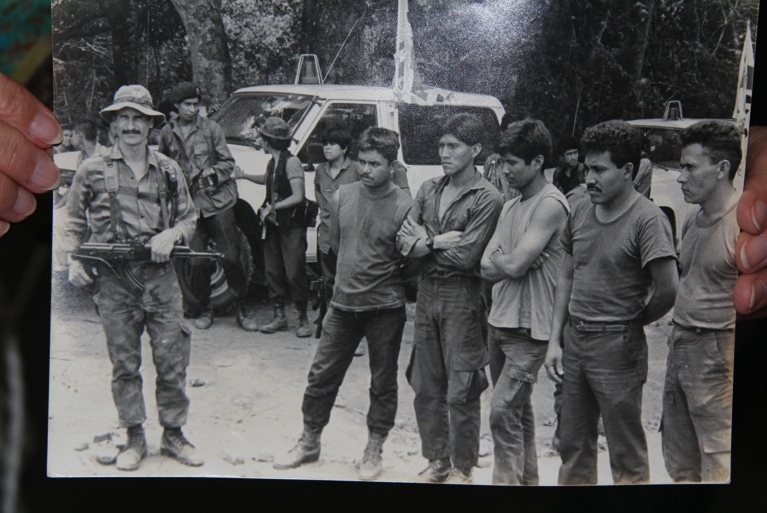 Who is the Salvadoran guerrilla? Let me assure you that the guerrilla fighters we interview are nothing like Rambo. They were housewives and children and farmers and students opposed to the military’s and government’s mistreatment of their rights. The poor campesino families owned nothing and were often literally starving to death while the wealthy landowners they worked for continued to mistreat and take advantage of them. Guerrillas we interview are often soft-spoken and quiet people who are hard to imagine carrying guns. (In fact, in photos many of them share with us, the gun is often bigger than the person carrying it.) They are compassionate and proud people. These men and women banded together to provide for one another’s needs in every way possible, whether it be medical needs, physical needs, caring for one another’s children, networking to communicate from one camp to another, or getting food and munitions to each other. 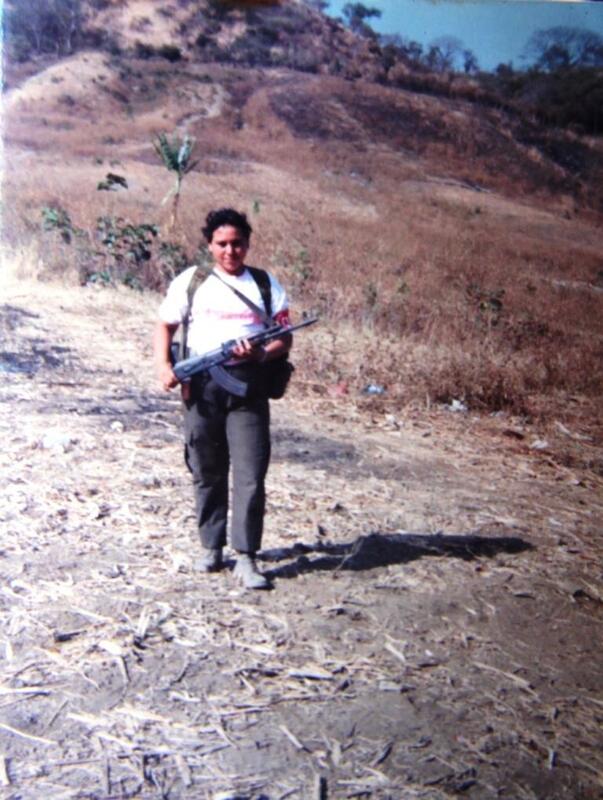 In terms of a generalized description of the typical guerrilla personality we are discovering of the former guerrilla fighters in El Salvador, they are those who put the love of their country above the love of their families. Detached and militant are the LAST descriptors we would use. It went deeper than self-defense or self-preservation. Often a guerrilla’s deep compassion and consciencia for the greater cause were bigger motivators to become involved. The military’s strength far exceeded that of the guerrilla fighters in terms of weapons. The military were, of course, heavily fortified, trained, and funded by the U.S. government. The military helicopter’s lights shining at night were a clear advantage. Comprised of so many poor local farmers, the guerrillas were no match. They had no access to any air power whatsoever. The guerrilla strength was their familiarity with the local terrain where they daily gathered fruit and firewood. Guerrillas knew where the caves to hide in were and where the local hot springs were to prepare their soup. Their advantage was often during the day. Using the name guerrilla might still create a conundrum for readers who do not have the privilege of meeting these humble people face to face, hear the timbre of their soft, sincere voices, and get to know them as we have had the opportunity to do. It is difficult to transmit that in writing. Should we continue to use guerrilla or instead use FMLN or opposition forces? Avoiding its use may be a slap in the face to the storytellers themselves. 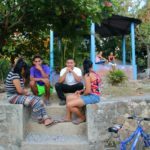 It would be easier to avoid the term altogether, but those Salvadorans involved in the guerrilla movement use the term proudly. We hear their heroic stories of narrowly escaping death, look at the war photos they proudly share, see their bullet-ridden scars and crooked gait. Whatever term they prefer us to call them is what we should use.